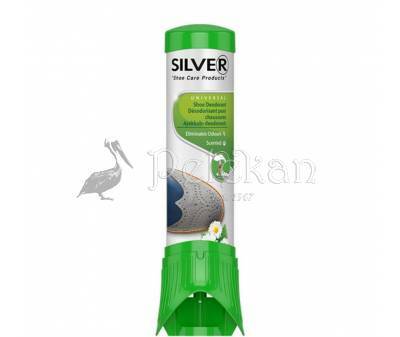 SILVER UNIVERSAL SHOE DEODORANT. Antibacterial action. 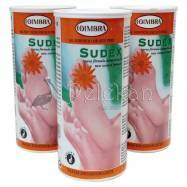 Prevents shoe and foot odor, gives a sensation of freshness. Contributes to proper foot and shoe hygiene. Deodorant for shoes, effectively eliminates foot and shoe odor by fighting the bacteria that cause it. Acts as an antibacterial agent, preventing fungi growth and providing shoe freshness throughout the day. Regulates perspiration and moisture. Prevents shoe odor instead of covering it. Everyday application of SILVER UNIVERSAL SHOE DEODORANT will ensure optimum result.